Our range of products include hibiscus flower extract. We offer good quality Hibiscus Extracts. Hibiscus is a Brown Colored dry powder / paste. Mucilage is a good source of soluble fiber and is particularly recommended as a mild laxative and for soothing gastric diseases and enhance beneficial bacteria . The viscous fiber absorbs toxins from the bowel. Hibiscus extract, already used to give color and flavor to beverages, contains many of the same antioxidant compounds as red wine, including flavoring, poly phenols and anthocyanins to prevent the oxidation of low-density proteins (LDL), or 'bad' cholesterol. 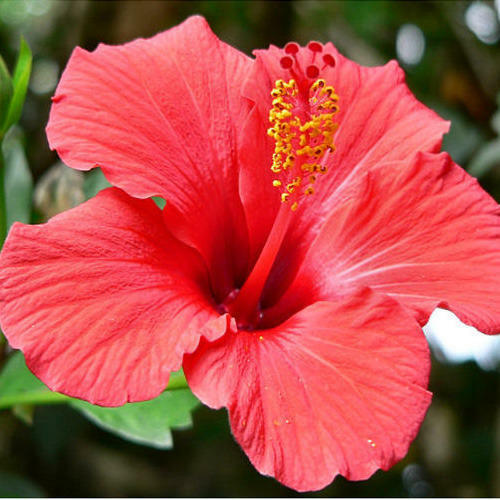 In addition, the extract from hibiscus is useful in the use of face cream, after shave balm, day cream etc.